There's no denying McDonald's sets the gold standard when it comes to straight fried potato-ey goodness, but are they ready to seize the short and curly market as well? Apparently so, but only in the Philippines. 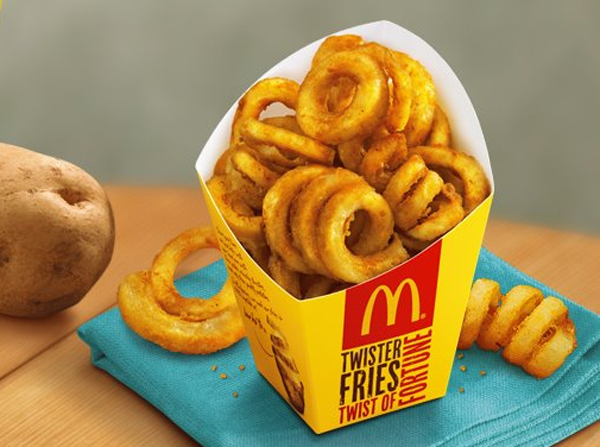 Already a seasonal staple over there, McDonald's Philippines (locally known as McDo) is bringing back its popular "Twister Fries" for a limited time (a short run of only three weeks), in order to increase the product's value. McDo Twister Fries are available a la carte for P60 or $1.43 USD. Would love to see if these ever make it to the United States -- that way we can use our new Ketchup Fanning techniques in public. Sound off: do you wish McDonald's US would start selling Twister Fries?